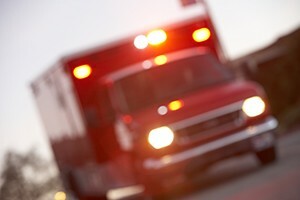 A jury recently awarded M. Blake Heath’s client $900,000 against the City of Kansas City, Missouri for failing to properly respond to an emergency call at a local hospital. The underlying events took place in June of 2011. The client started experiencing chest pain the evening of June 22nd and quickly went to a local emergency room. The emergency room immediately determined that the client was having a heart attack. Unfortunately, the hospital did not have a heart catheterization lab, which was needed to save the client’s life. The emergency room doctor contacted another hospital with a cath lab and made arrangements to transfer the patient. The only way for the patient to get to the cath lab was by ambulance. This is where a tragic string of events took place. The clerk at the hospital dialed the number to reach emergency medical services in Kansas City, but no one answered the phone. The clerk made multiple phone calls over a 10 minute period. She finally got in touch with dispatch and informed them of the emergency situation and that the patient was having a STEMI (ST Elevated Myocardial Infarction). Dispatch, however, listed the event as a non-emergency and failed to inform the paramedics that the patient was having a heart attack. By time the ambulance arrived, the patient had been waiting at the emergency room for approximately a half hour. The paramedics loaded the client into the ambulance and started to leave. Sadly, the client went into full cardiac arrest before the ambulance could get out of the parking lot, and he had to be taken back to the first emergency room. The emergency room doctor fought to get the patient stabilized. Once stabilized, the doctor asked for the clerk to call EMS again. The clerk reported another delay reaching the City on the phone. When she did reach dispatch, the clerk was asked to re-fax paperwork for non-emergency transfers. After several hours had passed, the client was eventually taken to a cath lab. But the delay in getting timely treatment resulted in significant damage to the client’s heart and resulted in a loss of oxygen to the brain. This was a hard fought case that required a showing of gross negligence. The City argued it followed its protocols. At trial, M. Blake Heath took the position that the City never treated the call as an emergency despite every witness agreeing that the client was experiencing a life threatening emergency. The City also tried to damage the client by introducing evidence he was still smoking after the heart attack. M. Blake Heath had anticipated this evidence and dealt with the issues directly in jury selection. The jury ultimately came back after several hours of deliberation and awarded M. Blake Heath’s client $900,000.